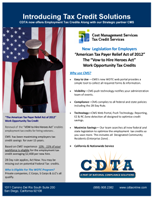 Cost Management Services Tax Credit Services has partnered with CDTA to provide their customers with Work Opportunity Tax Credit Services. 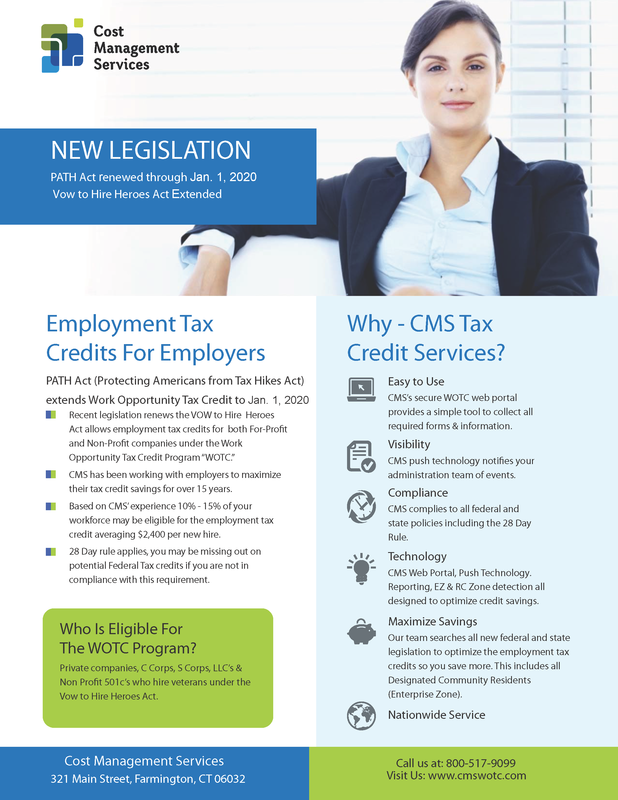 The maximum tax credit ranges from $2,400 to $9,600, depending on the employee hired, and hours worked. CDTA is providing WOTC webinars weekly to help you learn more. Register for a webinar to learn more or call us at (888) 908-CDTA (2382) or email info@cdtaOnline.com.